Are you ready for the BIG GAME coming up? Do you want to ENGAGE your students in some Football Math? The BIG Football Game will take the stage to showcase two great teams. 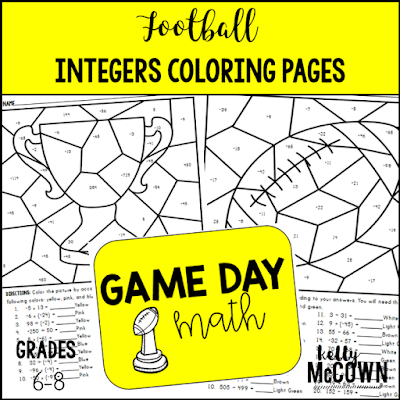 These Football Integer Coloring Pages feature different team colors to represent the teams that will be playing in the game. 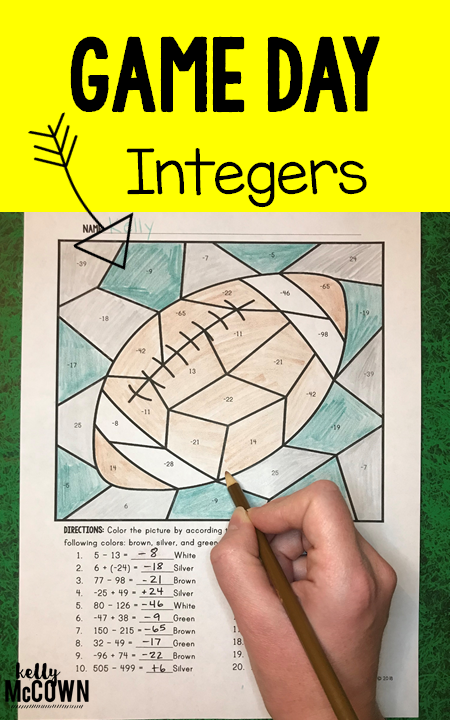 *Engage your students in Math for the BIG GAME! 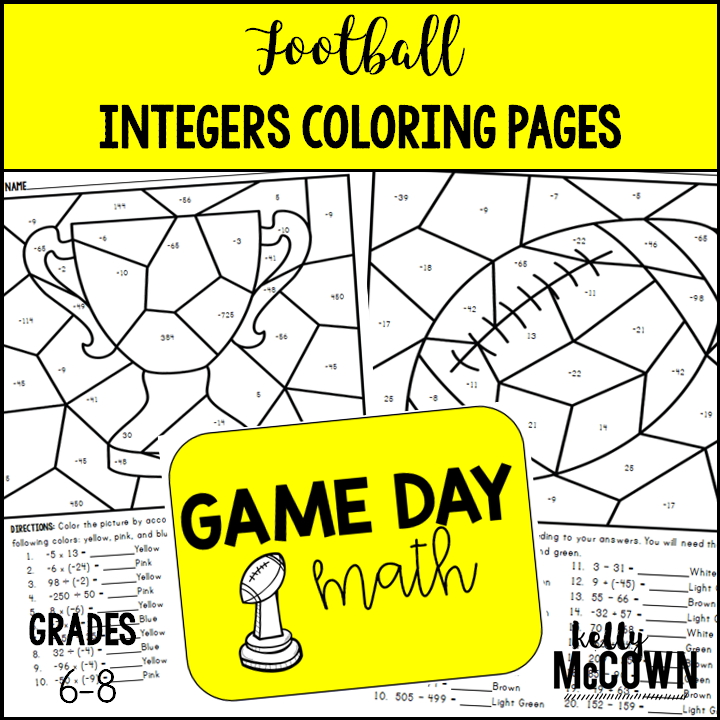 Use these coloring pages as a review or practice for the BIG GAME! If you are going to be out the day after the Super Bowl, these are also great for substitute teachers to use in the classroom. Keep your students engaged and having fun with math!